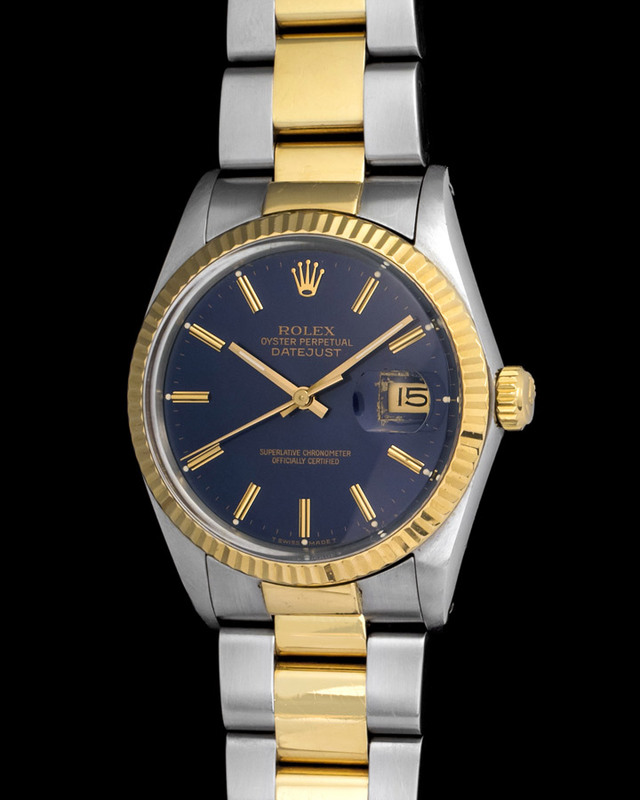 The mile stone of vintage Rolex collector , a rare early date just big bubble back , all original, nice roulette date , jubilee bracelet. 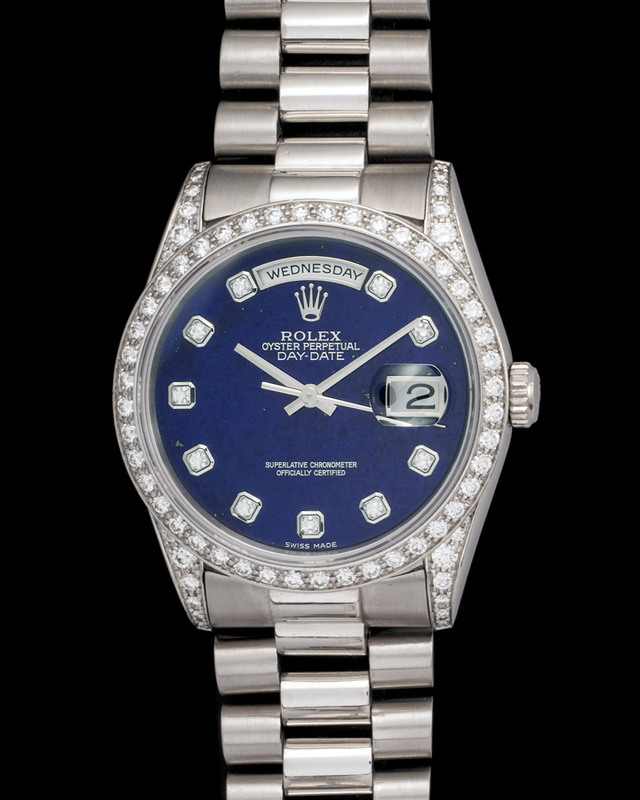 Early Date-just for lady in 31 mm , nice turned stardust blue dial . 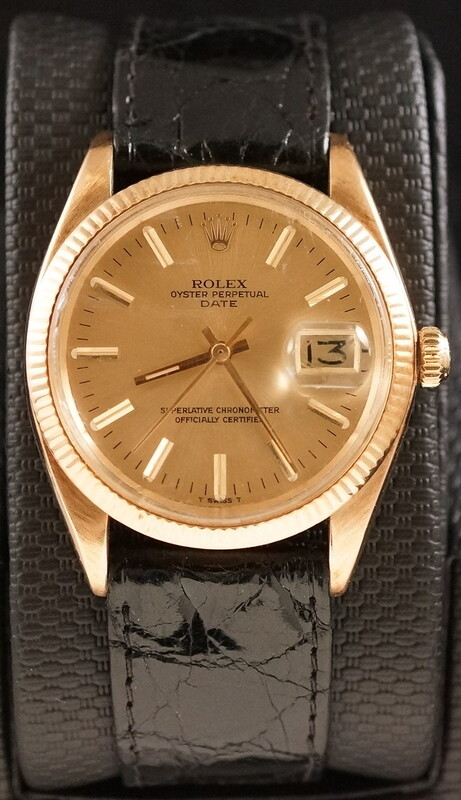 Rare and unusual Rolex date with saudia Arabi air ways logo, hard to find. 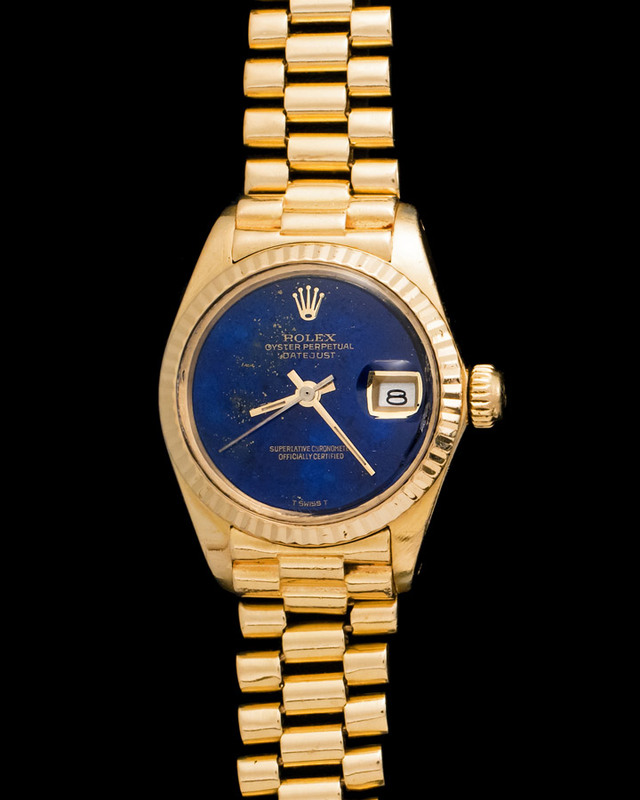 A Rolex fitted with Lapis dial is one of the rarest and most difficult watches to come by, as the manufacture process was arduous and not all dials were able to go past quality control. 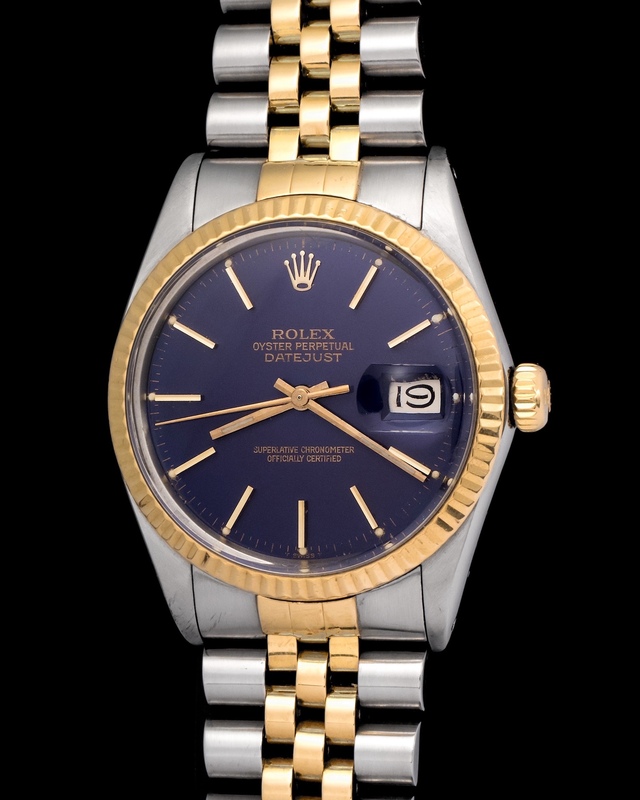 Here we have a fantastic example of a ladies Datejust 6917 Lapis dial and cased in a yellow gold case, put together by a gold president bracelet. 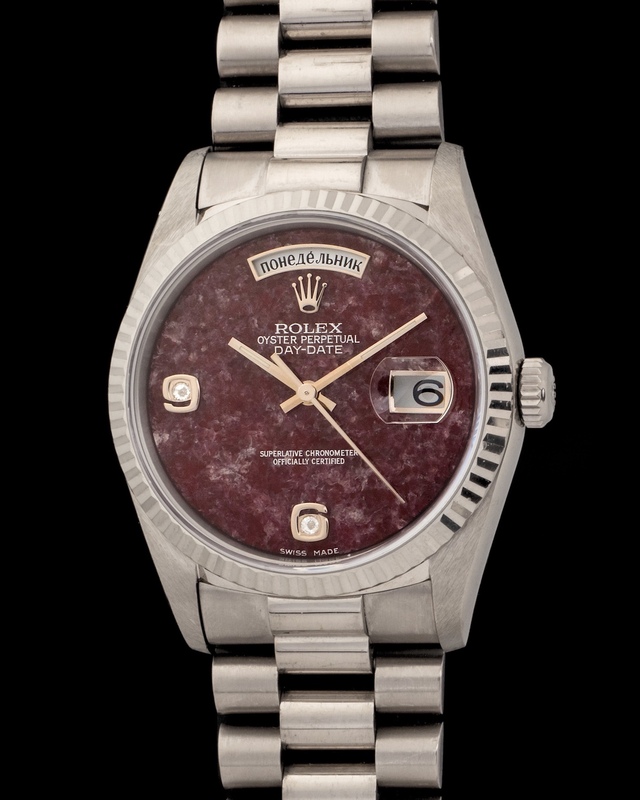 Stunning and time capsule best describe this Rolex Datejust 1601. The feeling of finding a vintage watch in new old stock condition is unlike any other. Here we have a watch that has probably never seen a wrist, just think about how fantastic that is. 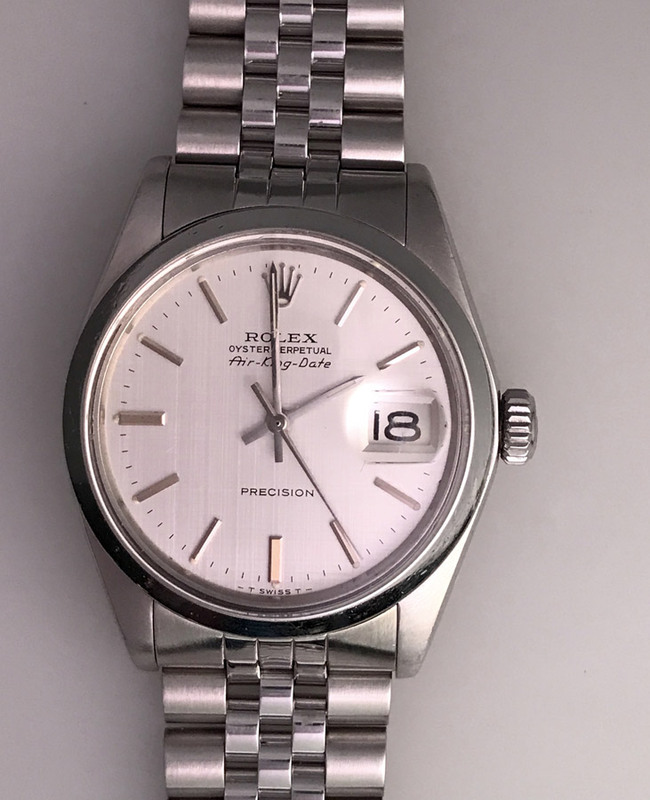 A 1969 Rolex that looks indiscernible from new. 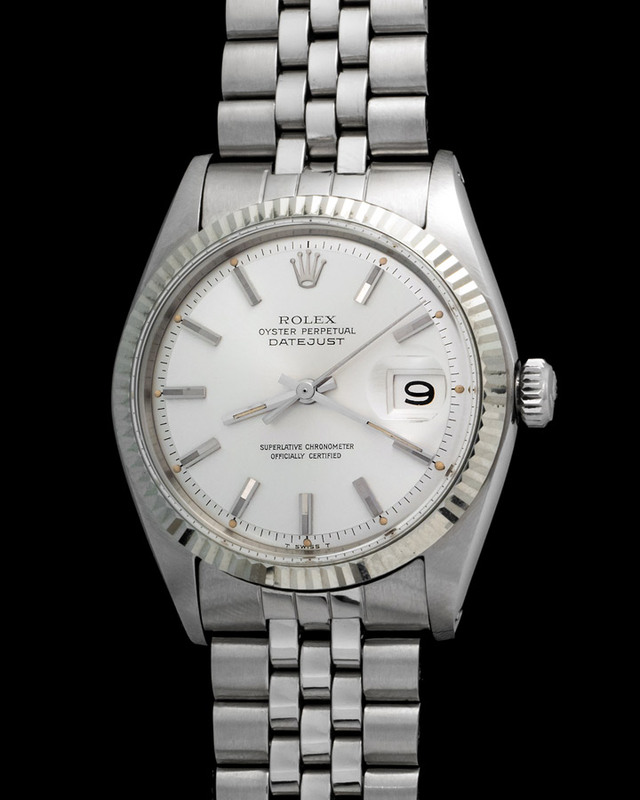 The Rolex Air King-Date is an ideal every day watch for its steel case, elegant Jubilee bracelet, and date function. 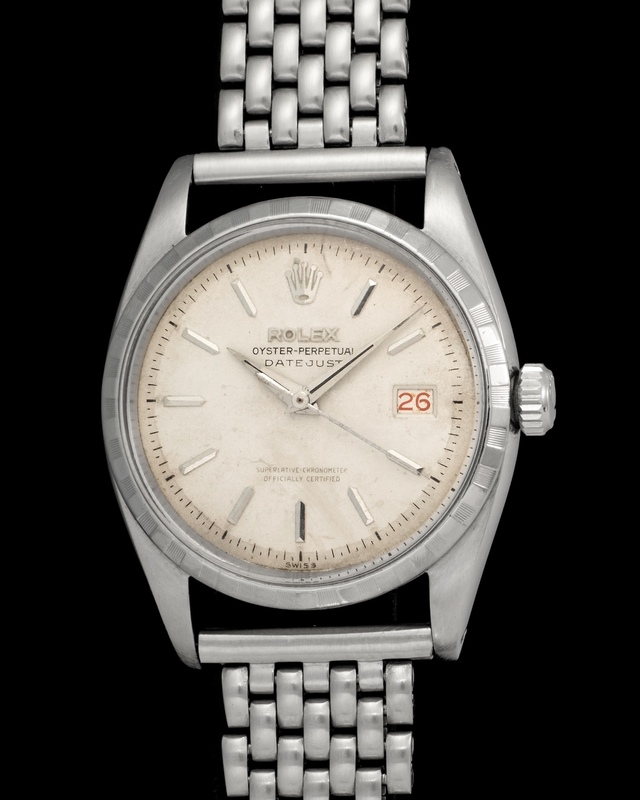 The cool factor behind the Air King is its riveting history, as Rolex released the model in order to honor WWII RAF pilots. 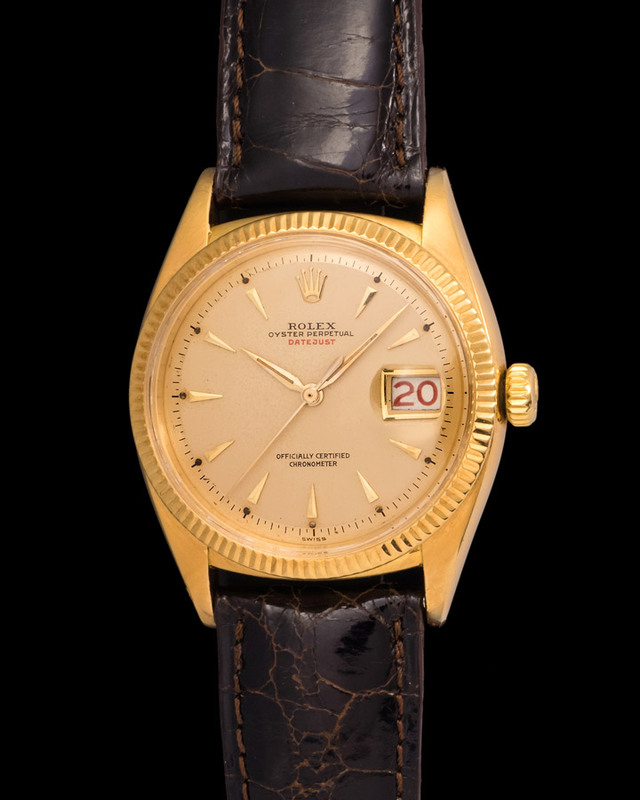 This particular Air King is fitted with a magnificent "linen" or textured dial. The reference 5700 is powered by an automatic caliber and is cased in a 36mm stainless steel Oyster case. 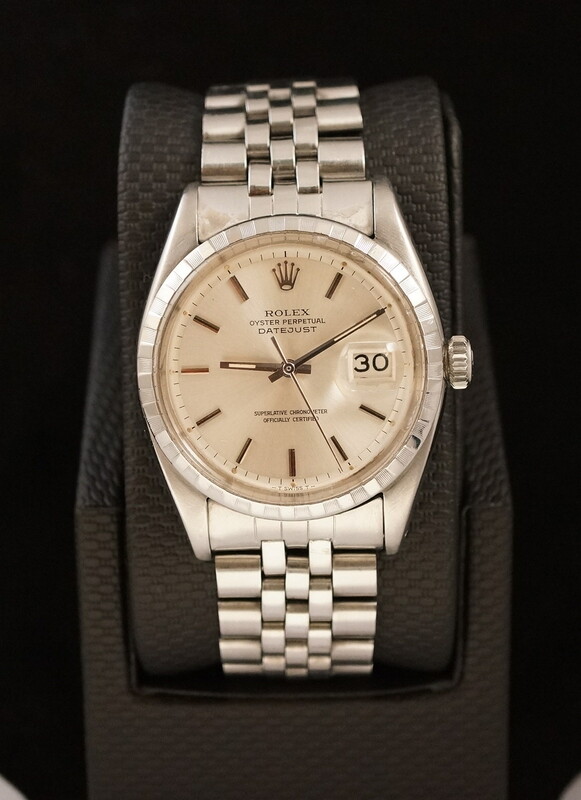 Great example of a Rolex Datejust cased in a two tone case and bearing an important R serial. 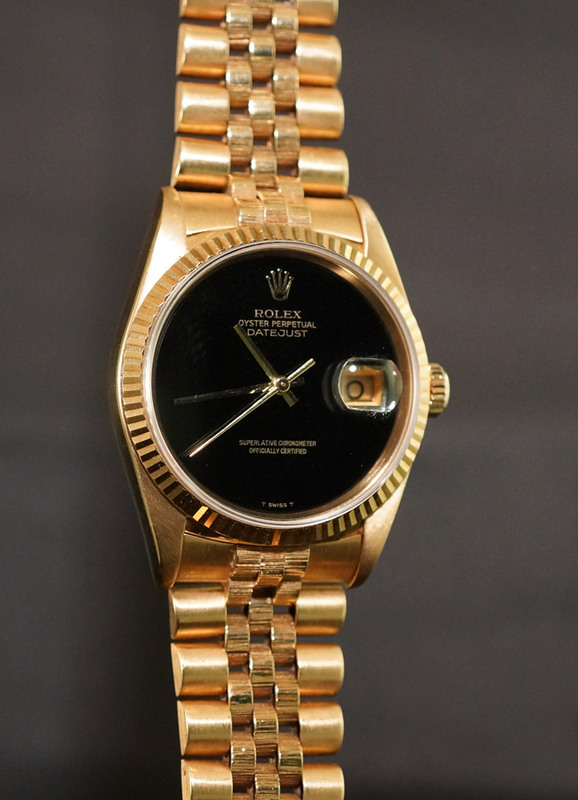 The Datejust is a watch that can double perfectly as a casual and formal Rolex. 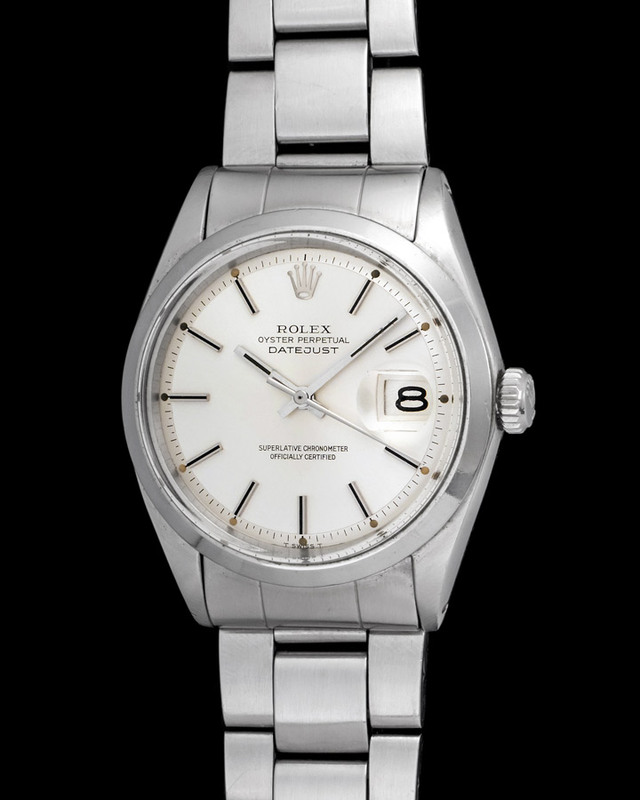 The Rolex Datejust 1600 is a watch that is not seen often and it's because Rolex manufactured far more 1601's and 1603's. Aside from its elusive nature of the reference a cool detail about the watch is its smooth bezel, which makes the watch incredibly elegant and distinguished. 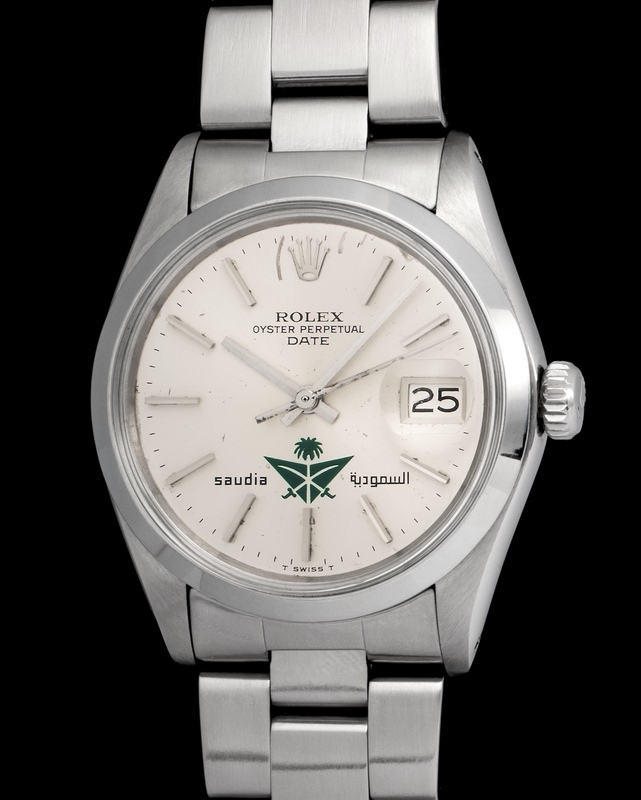 The Rolex Datejust is and will remain an icon of simple elegance. 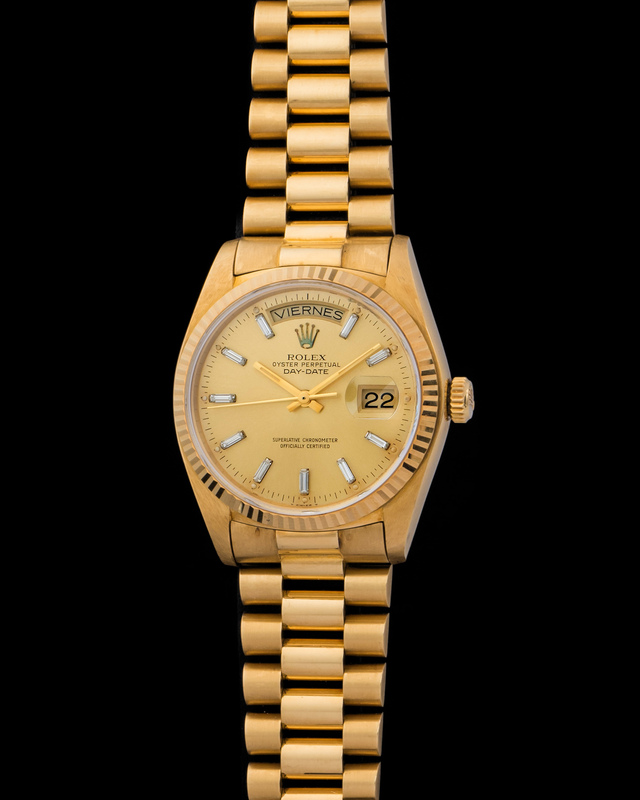 It was made with the simple purpose of telling the time and displaying the date, and with this Rolex created one of its longest lasting models. 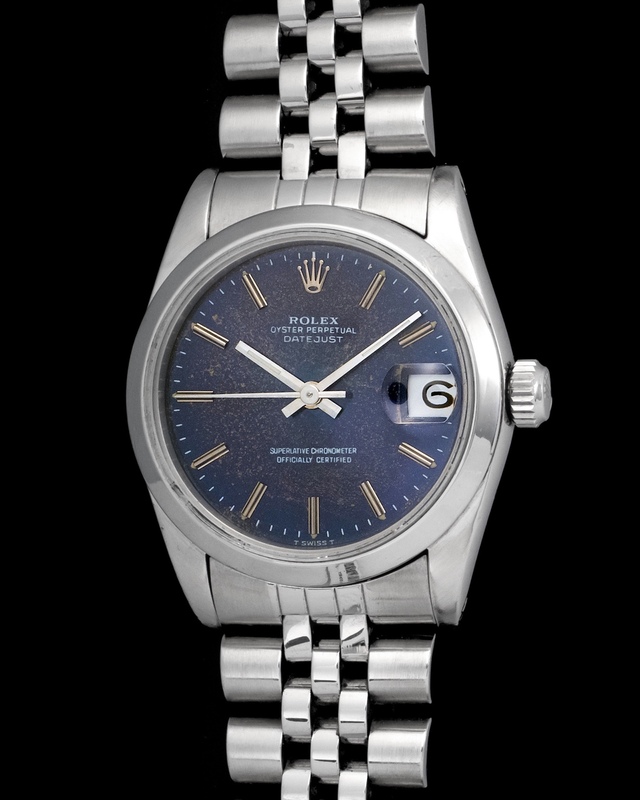 Here we have a reference 16013 fitted with a beautiful blue dial and put together by a two tone 36mm case. 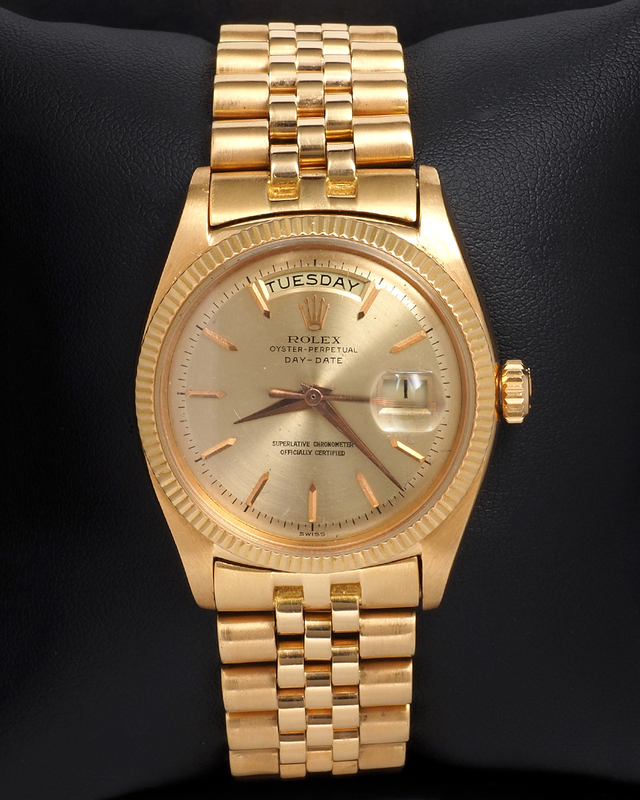 The watch was manufactured in 1987 and to the day looks as elegant and wearable as ever. 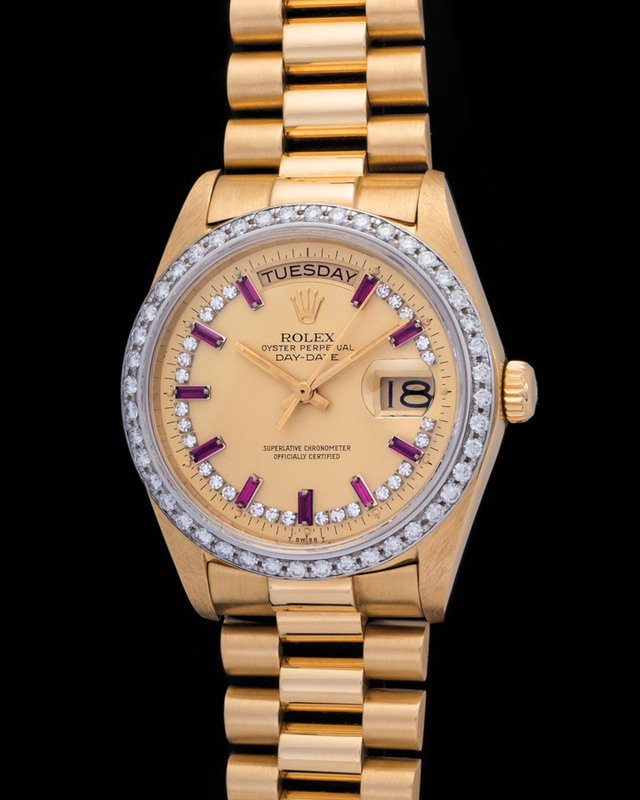 Elegant Rolex Date reference 1503 in 14k yellow gold. 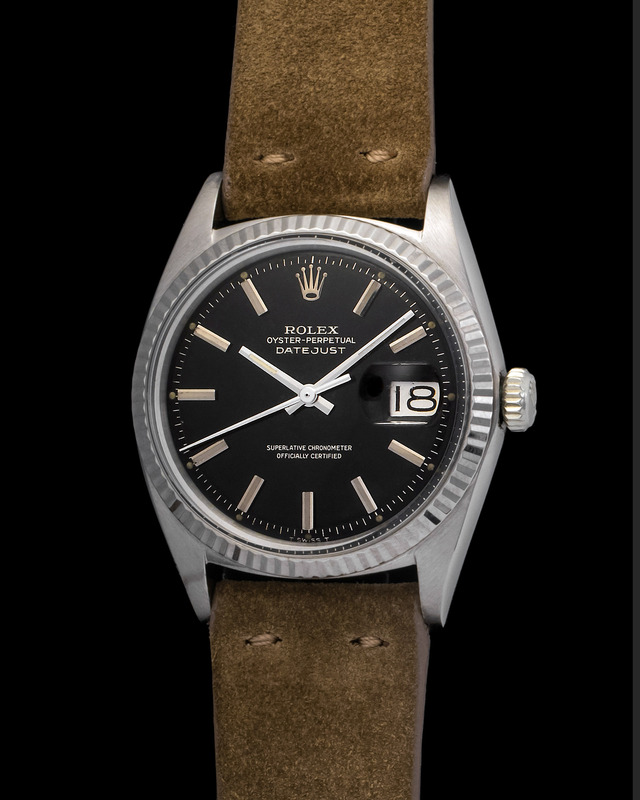 The watch comes with an original black leather Rolex bracelet and buckle. The automatic movement works very well and there are little scratches on the case and plexiglass crystal.